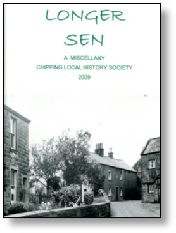 Each Longer Sen book has proved to be an extremely interesting and varied source of articles based on Chipping and the Chipping Area. 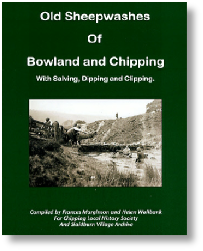 Each gives people, both new to the area and those who have lived in Chipping all their lives, an insight into our not too distant past. Please visit the Longer Sen page to view lists of the contents of each year to help you select the year(s) that attract your attention. 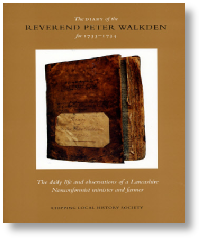 This previously unpublished diary was written by a chapel minister who lived in the hill country near Chipping, 10 miles north east of Preston Lancashire. It reveals details of his ministry, his farming, his family and his social life in the area. Journeys are described to many parts of Lancashire and into the Yorkshire Dales. The Diary also includes notes from newspapers and books, thus giving the reader remarkable glimpses of the early 18th century elsewhere in the British Isles and in parts of Europe, Africa and America. The diary is published in its entirety retaining the original style and vocabulary. Footnotes and indexes are included. CHIPPING IN PICTURES £2.00 plus postage. 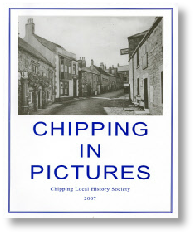 A collection of old photographs from in and around the village.